External Affairs Minister Sushma Swaraj on Friday returned AIUDF chief Badruddin Ajmal’s compliment for India voting in the UN General Assembly against the US decision to recognise Jerusalem as Israel’s capital, saying “vote for us”. “Thank you Ajmal Sahib. 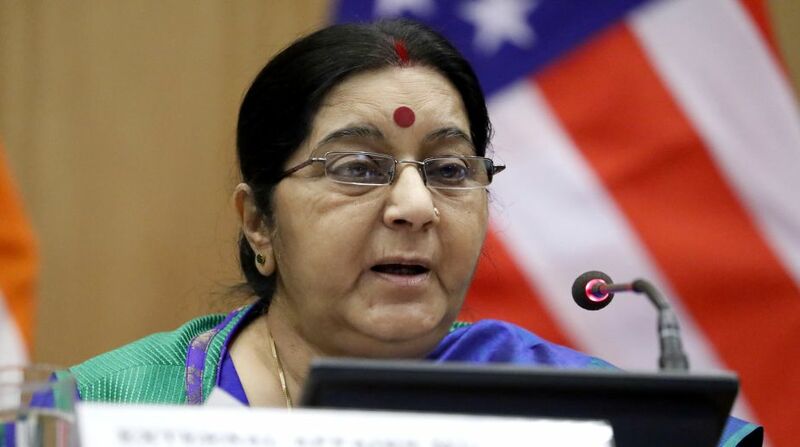 Now you vote for us,” Sushma Swaraj tweeted late on Tuesday evening in response to Ajmal’s tweet. “Thanks Government of India for voting in the UN against US decision of Jerusalem as Israel’s capital,” said Ajmal, chief of the All India United Democratic Front (AIUDF) and Lok Sabha member from Assam’s Dhubri constituency. India on Thursday joined the UN majority in voting for a General Assembly resolution criticising US President Donald Trump’s decision to unilaterally declare Jerusalem the capital of Israel and move Washington’s embassy there. The resolution that was passed by a two-thirds majority on Thursday demanded Washington comply with Security Council decisions against changing the status of Jerusalem and declared US and Israeli action on the city “null and void”.